Concept artist and illustrator Allen Williams tells us about collaborating with Guillermo del Toro, his tips for working more effectively in traditional media, and his upcoming Gnomon Weekend Workshop on creature design for film. Allen Williams became a professional freelance artist in 1988, beginning with TSR and Dragon magazine, and later progressing into collectible card games such as Magic: The Gathering and Rage. In 2010, having met director Guillermo del Toro at San Diego Comic-Con, he was asked to do concept work on the unreleased film At The Mountains of Madness, and then on Pacific Rim. He recently worked on Darren Aronofsky’s upcoming Noah, and on covers for Tor Books. Last year, he received a Spectrum Gold Award for concept art. On Saturday 18 January, Allen will be hosting the Gnomon School of Visual Effects’ Weekend Workshop on Creature Design For Film. The workshop is a chance to learn key art skills in an intimate setting. We caught up with Allen to hear more about his career, his tips for better traditional art, and his advice to young artists. CG Channel: You dropped out of college because you were doing more illustration than homework assignments. Are you someone who learns by being taught, or who learns by doing? Allen Williams: I definitely learn by doing. I’ve read books about drawing and painting but none of it makes any real sense till you jump in and mess things up a bit. CGC: You’ve also said that the arrival of your first child made you ‘get serious’ about your work. What did that involve? Was it just a matter of putting in more hours, or more focused study? AW: Both. It also meant that I had to have a fairly disciplined schedule. Kids demand a great deal of time and if I didn’t have a structured routine in place, nothing would get done. CGC: Looking back on that period in your career, what advice would you give to other young artists who wants to take their work to the next level? AW: Well, it’s all about your willingness to do bad art in order to get to something better. You have to, first of all, have an unreasoning belief that whatever you want to do can be done. That you can learn anything and that you won’t stop trying until you do. 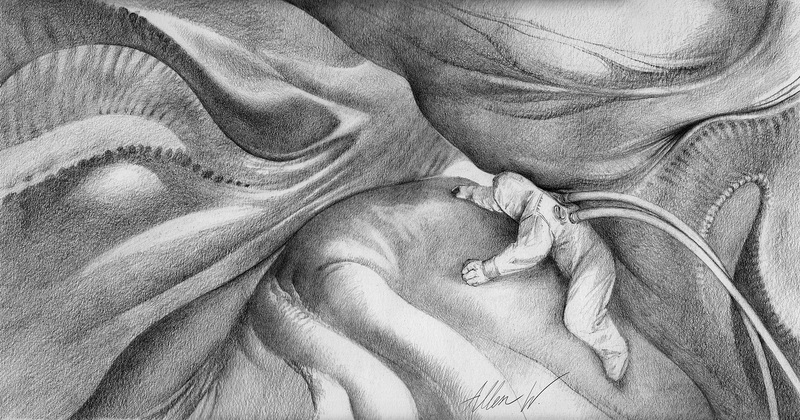 Allen’s Lovecraftian personal artwork prompted director Guillermo del Toro to invite him to work on his unreleased adaptation of At The Mountains Of Madness. They would later work together on Pacific Rim. CGC: Then in 2010 came a turning point in your career: Guillermo del Toro asked you to work on his next movie. Had you done much film concept work before that? AW: None. I’d been setting up at [San Diego Comic-Con] for many years, but suddenly that year I decided I would only show work that was exactly what I liked to do and nothing else. That made the difference. CGC: How easy was it to move from illustration to concept art? AW: It was and is a double-edged sword. I love to create creatures endlessly, which is what concepting is all about. But I also love to do finished fully executed narrative illustrations and that doesn’t happen often in concepting, at least in my experience. CGC: What tips would you give to other illustrators making that transition? AW: You just have to forget about the end product and try and fall in love with the compositional stage. Sometimes it’s easier said than done. A personal project. Allen’s skills as a creature designer were recently in demand on Darren Aronofsky’s biblical epic, Noah, due to go on general release in March. CGC: The next place most of the readers will see your work is Noah. What did you do on the film? AW: Post-production creature concepts. There was a great deal of art generated for that film and in the process I guess some directions changed, so they called me, Neville [Page] and Simon [Lee] to add our two cents. CGC: Without breaking any non-disclosure agreements, can you suggest some highlights that people should look out for when they go to see the movie? AW: I guess I could say that the trailer doesn’t scratch what you’re going to see in the film. When Noah says, “I’m not alone,” he really, really isn’t. 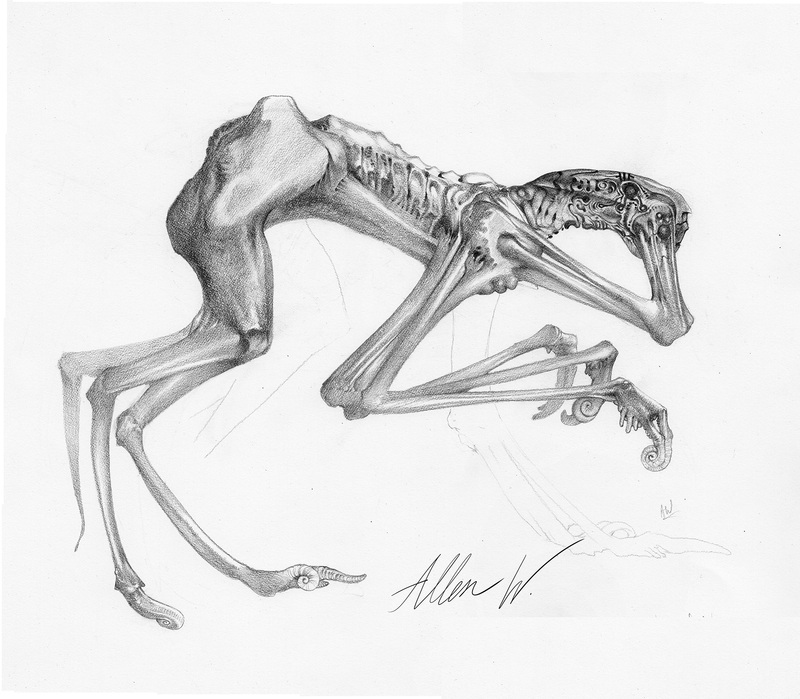 The majority of Allen’s art is executed in graphite. Digital techniques may be quicker for creating color art, he says, “but in straight line art or initial concepts, I work faster with pencil”. CGC: Most of the personal work on your website is in traditional media. Does the same apply to your commercial work? 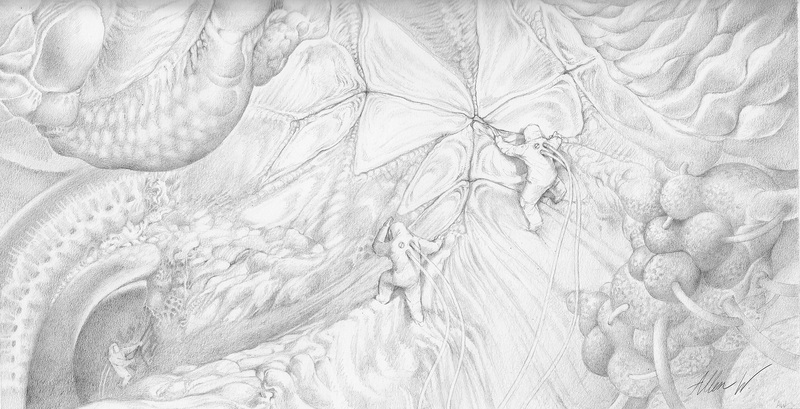 AW: Yes, almost all my concept work is graphite. I occasionally paint digitally and sculpt with ZBrush but that accounts for a very small portion. CGC: Some concept artists say that they often have to go digital on commercial projects for the sake of speed. Is that ever an issue for you? AW: In color, yes, but in straight line art or initial concepts, I work faster with pencil. CGC: On your blog, you’ve posted an enviable number of pics of sharpeners, knives and other pencil-lovers’ toys. What pieces of kit couldn’t you live without? AW: Oddly it’s a very small list. A pencil, a sharpener, and eraser and some paper. 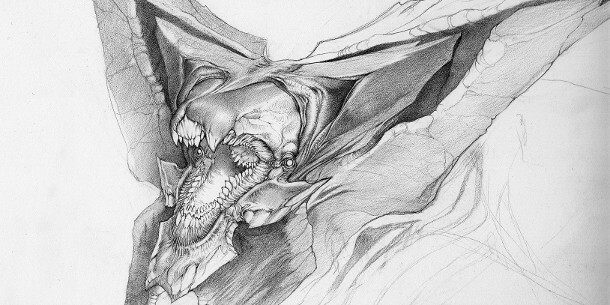 CGC: Do you have any technical tips for working with graphite? AW: My tips are at odds with most other designers: don’t be afraid to get dirty, and don’t be afraid of details. Many times a small detail suggests a larger design. Many people go straight at silhouettes, and that makes sense – but don’t forget that there are other ways to design. We don’t have to approach everything the same way, as long as we arrive at the goal. 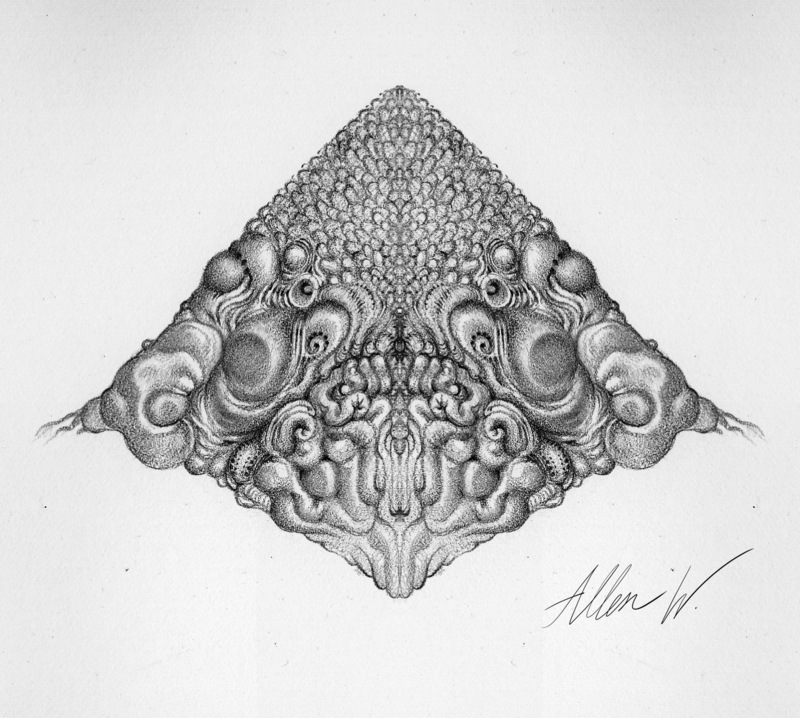 Allen’s monochrome, technically unconventional artwork is immediately identifiable. “Do the work that you love to do, and don’t try to be all things to all people,” he advises. CGC: Another important thing that happened in 2010 was that you wrote and illustrated your first novel, The Witches’ Kitchen. How did that come about? AW: I was illustrating a book for Barnes & Noble, and the editor decided it was time to go freelance as an agent. She asked me, and I said yes. I pitched a few ideas that I was excited about, and we dove in. I created about five pieces of concept art and wrote the first chapter. She took it to Little Brown, and we got it going. CGC: How useful is it for freelance artists to have their own IP to work on between commissions? AW: It’s extremely important. 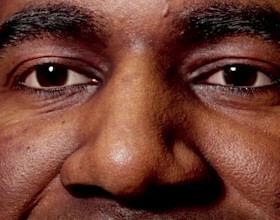 I haven’t met a seasoned artist that didn’t aspire to elevate their own IP. I definitely have more books planned. We’re not just there to illustrate other people’s stories. CGC: If you could go back and visit yourself at the start of your career, what one piece of advice would you give yourself? AW: Don’t wait for permission to do the work you truly want to do.